Happy (almost) St. Patrick's day everyone! We thought it would be fun to give you a little insight as to the St. Patrick's Day shenanigans happening within the beautiful mitten. As you know, Katie and I reside on the west side. Therefore, we teamed up with our friend Alex from @KnowDetroit to bring you the top spots to be this for this splendid holiday. As as long time friend and Detroit expert, he is my go-to person when it comes to having a good time in "The D". For you leprechauns on the west side, you know Katie and I have you covered. We are keeping it simple for you. Calling all green beer lovers and early morning risers! This downtown party is one you can't miss. With live music, beer, and food tents, it's always a good time to head down to Ionia street for this all day festivity. This is Michigan's largest St. Pat's day street party...need I say more? Katie and I will be attending this Saturday-photos to come! Located on the west side of downtown, O'Toole's is a small bar with good grub and a cool atmosphere. Casual, fun, and one of the places to be this Thursday in GR! Many of you know this as the old "Mcfaddens" but this re-vamp is awesome. The Waldron Public House is a British style pub with a cool twist. Located right on Ionia, this houses many craft beers and entertainment for your St. Pat's day. Allow me to introduced myself, I'm Alex from @KnowDetroit. 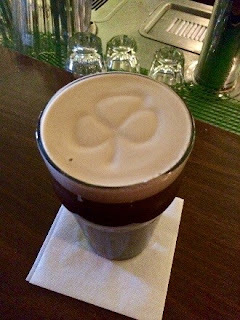 And, since I live in Detroit and spend way too much time and money exploring my (our) city, I was asked to put together a list of the Top 5 St. Patty's Day activities in Detroit. Fortunately or unfortunately, some of these events already happened this year, but that also allows me to provide some extra insight into your plans for both next year and this Thursday. Founded in the 1840s, Detroit's oldest neighborhood pays homage through its name to Cork, Ireland. The former home to Tiger Stadium, was recently ranked the 15th best food neighborhood in the country by Thrillist. Stumble your way from pub to pub before, during, and after the parade for the best Irish experience. Surprisingly enough, this part of town is not as popular on March 17th itself, but will still be hopping later in the day. Bonus: make up a story that'll get you into the private Gaelic League Irish American Club for the best pint of Guinness in the city. Last year, I crashed a parade planning meeting when I posed as a representative of a corned beef company with a float in the parade. This one's a wild card. McGee's is just a 3 year old Irish pub located in Eastern Market. 2016 will be just its 3rd ever St. Patty's Day. As a self-described "old school sports and whiskey bar," this place boasts a 4.8/5 stars average on Facebook and is known to be one of the best places to catch a soccer game in all of Metro Detroit. If you can head into work late, or take the day off all together, 89X'sCal & Co. will be broadcasting live from 6-10am. Here's the unfortunate one. The parade and 5K were this past Sunday and if you were able the make it out, you may or may not have noticed that Michigan quite literally rained on our parade. My apologies to those of you who had march (I did last year when it was 60 and sunny) or run the race. Detroit’s proud of you. But, for those, including myself, who were able to watch out the window from the comfort of a barstool, it was great. Although not Irish, TheSugar House, has some great Irish cocktails. Don't be the basic and ask for green beer or a carbomb here; you won't find one. It's a classy speakeasy with bartenders who could double as chemists. Try to sit at the bar, the show they put on is incredible. 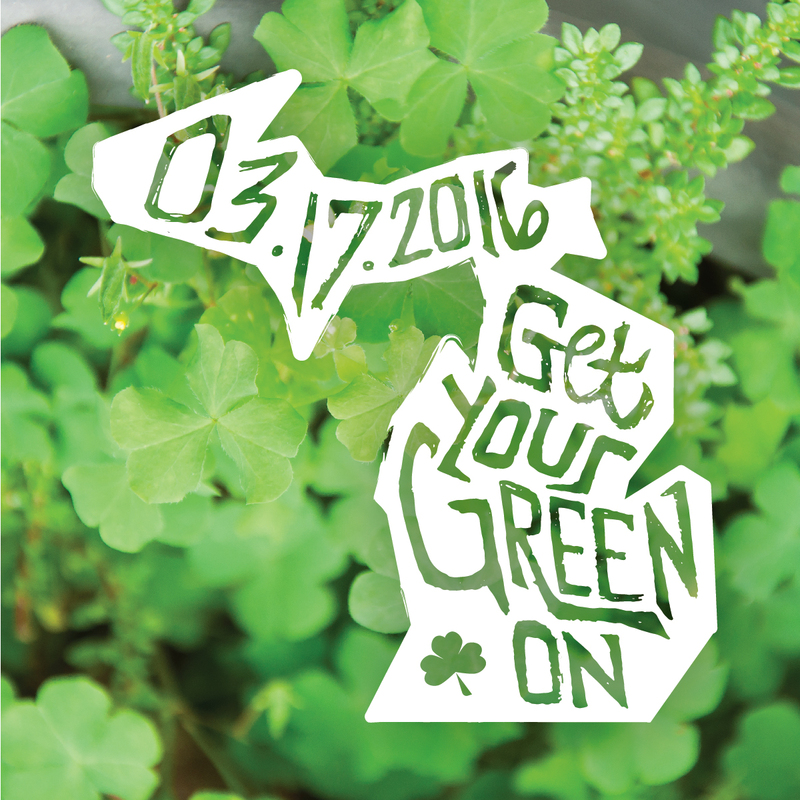 And finally, this iconic Detroit fixture is a must-go on St. Patrick's Day. The place has been rocking every March 17th since 1975 when Dubliner and retired Detroit cop, John Brady, opened its doors. It's a 3 floor house party of drunken green-clad patrons with live authentic Irish music. In '87 the parking lot tent party was added by the 2nd generation of owners, and in '05 the third generation built the enclosed rooftop patio. And yes, this time you can drink as many green beers and carbombs that your heart desires. It's been a pleasure to meet all you Modish Mitteners! Be safe this week. Many thanks to Danielle and Katie. *Artwork developed by Katie Miller.